The Good Vibes Summer Tour 2017 - Otter Productions Inc. | Otter Productions Inc. The Good Vibes Summer Tour 2017 - Otter Productions Inc. 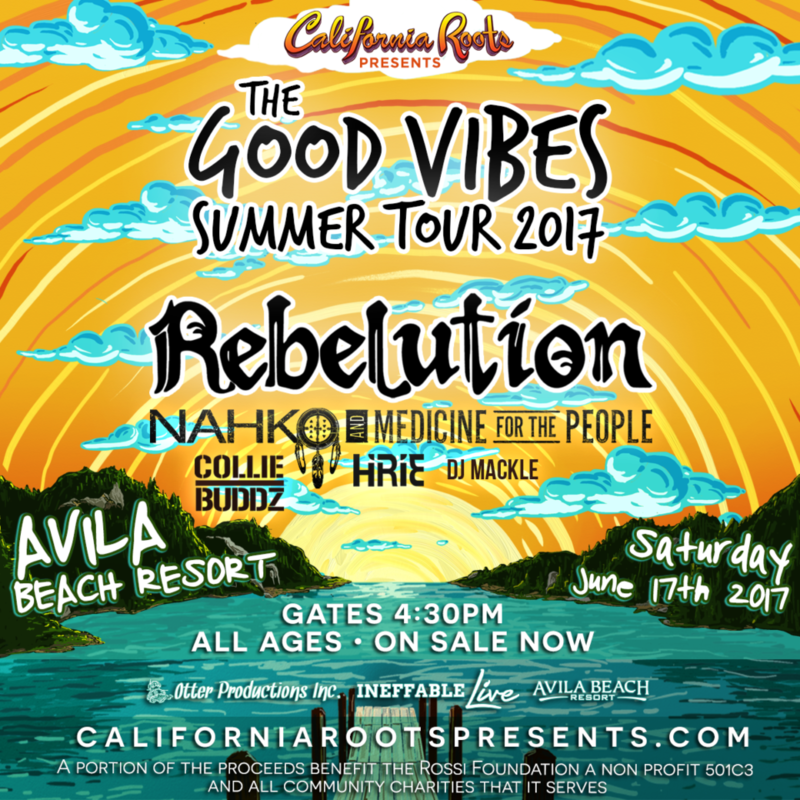 The Good Vibes Summer Tour 2017, featuring Rebelution, Nahko & Medicine for the People, Collie Buddz, Hirie and DJ Mackle, comes to the beach at Avila on Saturday June 17th! 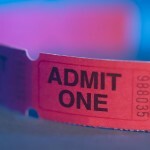 Advance G/A tickets on sale now at Boo Boo Records in downtown SLO and at www.californiarootspresents.com. Produced by Cali Roots and Otter Productions, Inc.
Eric Rachmany – Vocals / Guitar Rory Carey – Keyboards Marley D. Williams – Bass Wesley Finley – DrumsA dozen years into Rebelution’s stirring career, the release of the California reggae band’s fifth album Falling Into Place finds them more energized than ever. Touring relentlessly since 2014’s Count Me In debuted at No. 1 on the Billboard Reggae chart, the band’s members have expanded their songwriting horizons and recorded 11 tight new tracks that fuse an ever-youthful attitude of celebration with the mature perspective of men of the world.The lyrics of “Lay My Claim” get right to the point: “Let it all unfold straight from the soul.” It’s about working hard and then reaping the benefits, says singer/guitarist/lyricist Eric Rachmany – about “being present with the music instead of just thinking about the outcome and the limelight. We’re not making music to hit a certain demographic. We’re just making music that we enjoy!”For Falling into Place, Rebelution’s four core members – Rachmany, keyboardist Rory Carey, drummer Wesley Finley, and bassist Marley D. Williams – got some refreshing new perspectives by writing with different producers and writers and recording at multiple studios. For Rachmany, the creativity began with an inspirational trip to Jamaica, the birthplace of reggae, where he did some of the writing.Dwayne “Supa Dups” Chin-Quee (Bruno Mars, Eminem) produced many of the tracks. Others feature the studio wizardry of Yeti Beats (Kool Keith, Los Rakas, and Rebelution’s two previous albums), while Donovan “DonCorleon” Bennett (Sean Paul, Vybz Kartel, Morgan Heritage) produced two.Locking it all together are rock-solid musicianship, a “sun splashy sound” (Relix), an intense work ethic, and constant devotion to their art. “We named the album Falling Into Place because all of our varied inspirations and experiences came together into one cohesive collection of music that we really love,” says Rachmany. Falling Into Place mingles stories of love gained and lost with reminiscences of years gone by (“Pretty Lady,” “Those Days,” “Santa Barbara”) and socially pertinent songs like “Know It All,” which challenges the hatred in an ever-more-violent world and a fraught political environment. Jamaican deejay and one time tour-mate Protoje adds guest vocals on “Inhale Exhale,” an intense earworm celebrating the movement towards further legalization of marijuana.